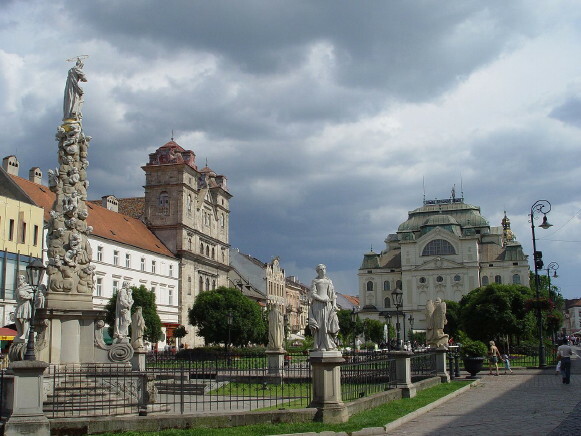 Košice [Ukrainian: Кошиці; Koshytsi]. A city (2011 pop 240,688) on the Hornád River; the largest city in eastern Slovakia. It is inhabited mostly by Slovaks, some Hungarians, and about 3,000 Ukrainians, Ruthenians, and Slovakized Ukrainians. In the 1850s Transcarpathia belonged briefly to the Košice administrative district. From 1929 to 1939 the city served as the seat of the Czechoslovak Higher Court for Transcarpathia. In 1968 the Greek Catholic parish in Košice was restored, and a local branch of the Cultural Association of Ukrainian Workers was set up. Since 1965 an illustrated journal for Ukrainian children Veselka (Slovakia) has been published in Košice.